a 12th order 3.4 kHz low pass filter with sufficient rejection of 4 kHz signals to meet NMT 450 and 900 filter response specifications for both base and mobile equipment. The low pass filter also provides a low group delay distortion path. a 6th order 4 kHz narrow bandpass filter which meets the NMT 450 and 900 mobile specifications for SAT recovery. an uncommitted amplifier which may be used for any specific applications such as pre- emphasis, de-emphasis, buffering, etc. 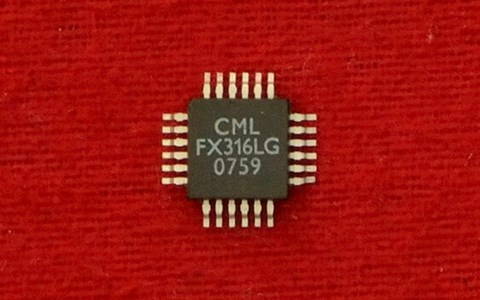 An on-chip oscillator uses a 1MHz Xtal and provides all reference clocks for the switched capacitor filters via a divider chain. Alternatively, an external clock may be used. The Chip Enable feature is used to disable the three circuit elements thus reducing current consumption.